At Colgate’s Locksmith, we know that your family and most precious possessions will only be safe inside a well protected residence, so we offer our locksmith services 24 hours a day. Whenever you find yourself in need of any type of locksmith service for your residence – contact Colgate’s Locksmith Service Inc. with confidence! We provide a high-quality rekey service for new home buyers,relocation or just the peace of mind. Why use Colgate’s Locksmith for your home? Your home is your single most valuable possession, and it contains most of the rest of your valuables. Why would you secure it with a cheap lock from a discount store? We provide residential locks that are superior in quality and installation at very competitive prices, and we can provide much higher quality locks from specialty manufacturers, which gives you a wider variety of styles, colors and capabilities. Tell us what you are looking for and we’ll find it for you. ​Your family’s safety and well-being also shouldn’t keep you up at night. Why not let Colgate’s fully-qualified locksmiths address all of your local home security needs? 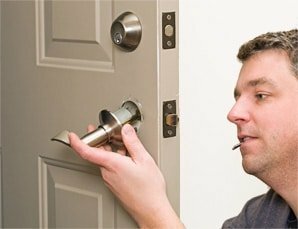 From installing deadbolts and knob locks to cutting spare keys, when you need a local Locksmith to help with locksmith services in your home, look no further! ​We offer security products using the most advanced technology at affordable prices. All our products suit our customers needs at prices they can afford. We carry only top-of-the-line brands and products. We believe these products are the best available. We offer a comprehensive list of home security options for your home: door locks, deadbolts, stand alone electronic and mechanical locking systems, safes and key services. ​You can count on us to get the job done right the first time. We pride ourselves on being timely, friendly, reliable, and available. And if you are ever faced with an urgent situation, or are locked out of your home, you’ll have the peace of mind of knowing that we are available 24 hours a day. No matter how big or small the job, we’re there for you day and night ensuring your loved one’s security needs are met. We have served many thousands of satisfied customers throughout Louisville, as well as Clarksville, Jeffersonville, New Albany, Charlestown and Sellersburg, Indiana. Feel free to contact us for a free estimate today! !